Russia is the fourth among all European countries in the number of tourists resting in Malaysia, behind the UK, France and Germany. According to the head of Moscow office of the National Office ofTourism of Malaysia in Russia, Nur Zuliya Mohammed, the increase in tourist flow in 2017 compared to 2016 is quite impressive - more than 30%. Positive dynamics continued in 2018, which makes it possible to predict its increase by 10–20% compared with 2017. And this, in turn, allows us to build the most optimistic forecasts on the eve of the “Year of Tourism in Malaysia - 2020”. In Malaysia, the Russians most often choose the city of Kuala Lumpur and a beach holiday. Recently, however, there has been an increase in the popularity of adventure tourism, which is facilitated by the state program Homestay. The program allows you to live in a Malaysian family and learn the subtleties of local life and culture. Local authorities also rely on eco-tourism and medical tourism. Also in Malaysia, there is a huge number of business opportunities and shopping. A culture of SPA is developed. Tourists are attracted by jungle, wild trails and an abundance of rare species of flora and fauna. For children there is LegoLand and the latest theme park of the company 20 Century Fox in the country, as well as water parks, zoos, amusement rides and much more. Malaysia is rapidly gaining a leading role as a diving area of ​​the international level, having the richest marine fauna in the basins of the Indian and Pacific Oceans. The incredible variety of underwater inhabitants and beautiful islands with white sand beaches surrounded by clear warm waters attract divers from Russia. For Russians, there is a visa-free entry for up to 30 days, and the average duration of a trip to Malaysia is 7.3 days. Local residents in Malaysia are friendly, always ready to help, they can even invite an unfamiliar tourist to visit their home and treat them. In Malaysia, tourists can feel completely safe. National Office ofTourism of Malaysia in Russia works with major tour operators (Tez-Tour, ITM Group, Biblio-Globus, Art-Tour, Quinta-Tour, Russian Express, Vedi-Tour Group), provides support in the implementation of promotional campaigns, which include advertising, seminars, workshops, webinars, road shows, digital promo in internet resources, articles in magazines. Also, as many Malaysian incoming companies and hotel chains are invited to participate. Malaysia is focused on people of absolutely any wealth. There are also luxury resorts with luxury hotels, but a segment of 3-4 star hotels is very widely represented here. 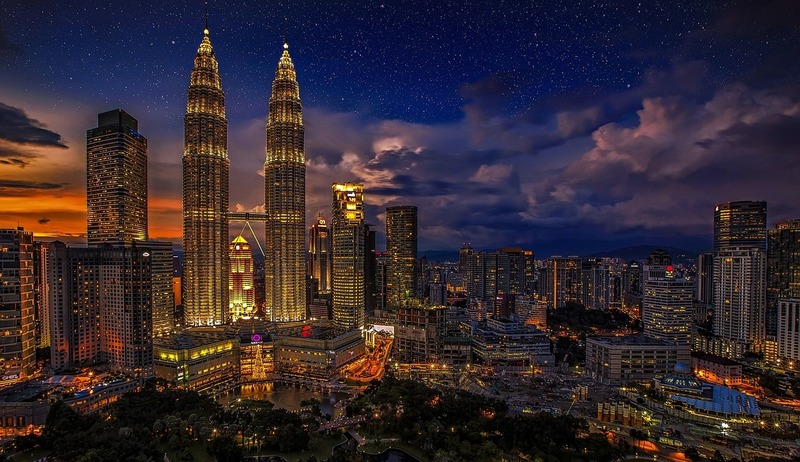 There are no direct flights to Malaysia from Russia, but you can use convenient connecting flights with departures from Moscow. The most comfortable option is to fly Singapore Airlines to Singapore, then a short two-hour change - and another hour in the sky to Kuala Lumpur. From the capital you can get to almost any region of Malaysia. Mrs. Nur Zulia Mohammed views the Russian market as one of the strategic ones, which, together with other world markets, will allow to increase by 2020 the flow of tourists to Malaysia up to 36 million people, and the income from the tourism industry to 168 billion Malaysian ringgits (42.6 billion dollars). During the media briefing at ATF 2019 in Vietnam, the CEO of Malaysia Tourism Board also stated the constant growth of Russian tourist to Malaysia.